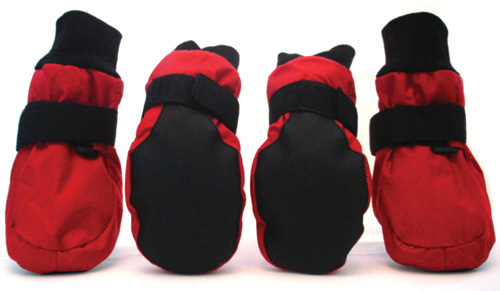 What does your Dog Need this Winter? A dog’s favorite sentence of the day is when mom yells, “Want to go for a doggie walk?” Even though it’s cold outside, there’s no better way to change-up the routine, stimulate the senses, and just let dogs be dogs by taking them for a proper walk. But winter means that routines must be adjusted to account for the colder temperatures. Planning is essential to ensure that walking with your dog is safe for everyone. Some pointers are listed below. 1. Know before you go – It’s essential to know what kind of weather you might face while you’re out for a walk. You can quickly check the weather using a free app on your phone. 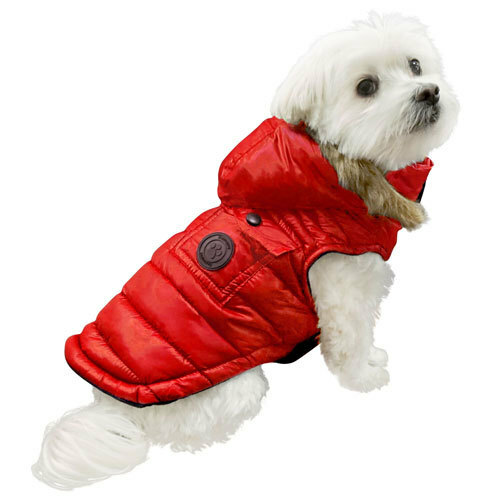 This will give you an up-to-the second temperature reading before you head out, enabling you to make important last-minute decisions about what you should wear and how you should dress your dog. 2. Conserving heat – Your breed might have a winter coat, but smaller dogs lose heat rapidly. That’s why it’s is critical to maintain their body heat with a coat. The Foucler Ski Parka (available in Red, Black, Blue or Pink) is water-resistant and fleece lined with detachable hood. When it’s cold outside, your dog likes to snuggle to keep warm. A cozy, warm sweater is perfect for those nippy days when there’s no threat of rain. Grape-seed Oil Paw Revitalizer is an anti-oxidant rich grape-seed oil blend that helps to moisturize and revitalize dry and cracked paws. Or try our Paw Defense Wax which soothes, moisturizes and protects your dog’s paw pad. 4. When there’s less daylight, you need greater visibility – The longer winter nights mean there is much less daylight for those after work walks. You and your dog need to be more visible. Wearing a Light Up Collar Charm when it’s dusk or at night is a simple way to make sure your dog is visible. 5. Just in case – Bringing a cell phone on your walk is a great idea. 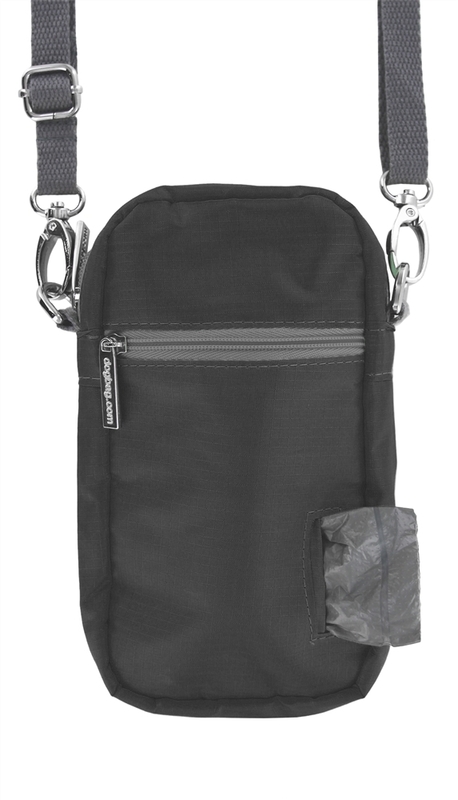 Our Cross Body Bag is perfect for holding your phone and has separate pocket for poop bags. It’s also helpful if someone knows which route you’re taking. Are you on the typical walk around the block, or heading off to explore a wooded trail? You will increase your security by sharing with a friend or family member where you will be walking and what time you expect to return. It’s also important that you carry ID, and that your dog wear their Identification Tags on their collars.